Freeway to Adelaide - A Great Life in Hallett A Great Life in Hallett: moving to the country, information and opportunities. The State Government is building a freeway system that will stretch from McLaren Vale to Gawler. 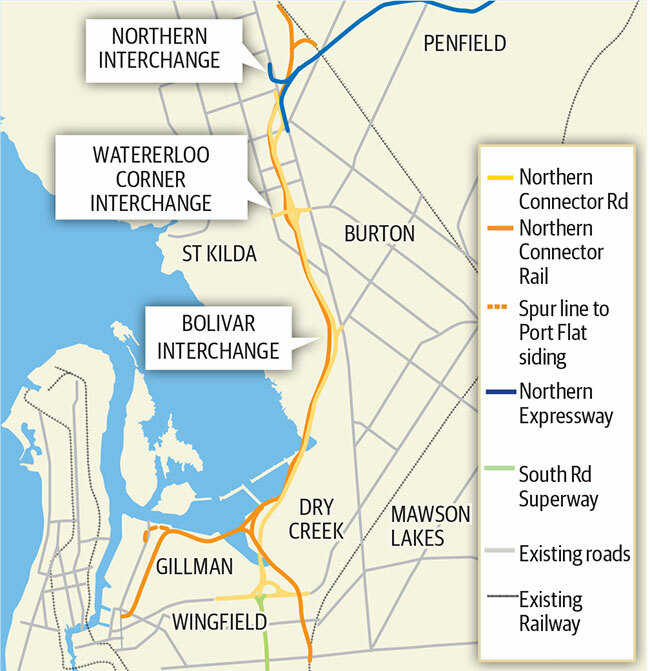 Freeways will connect the Southern Expressway, South Road's 'Torrens to Torrens' project, the Port River Expressway and the new Northern Expressway to the Horrocks and Barrier Highways. It will be possible to travel from western Adelaide to Hallett without traffic lights. Our region will have excellent road access to (and through) Adelaide - creating opportunities for business development, tourism and shorter commuting times. Click here to fly through the Torrens to Torrens section of the road network and here to see an overview of the Northern Connector. More information is available on the Department of Transport Infrastructure and Energy's Northern Connector ﻿website﻿.